Utensil washers are an essential piece of equipment for any site with a requirement to wash pots, pans, containers and trays, quickly and effectively. Dishwashers cope admirably with cups, plates and cutlery but you’re limited on the size of pots and pans that will fit. And if the pans won’t fit, or are heavily soiled then it’s usually a manual job. For larger sites that can be a very labour intensive, time consuming task. It often involves a pot wash sink or two full of hot water and detergent. Not the most efficient and potentially hygienic way of washing your larger items. Utensil washers take this intensive task and turn it into a very quick and efficient job. Site tests have proven time and again the significant cost savings when a utensil washer has been installed. Not just in labour but also water, electricity and detergent consumption. Utensil washers are often found in larger establishments such hospitals, schools, colleges and universities, hotels and generally anywhere where there is a large volume of big pots, pans and trays. Hobart, leaders in commercial warewash equipment have, unsurprisingly, designed and built a range of exceptional utensil washers. A range cable of dealing with any site’s requirements. 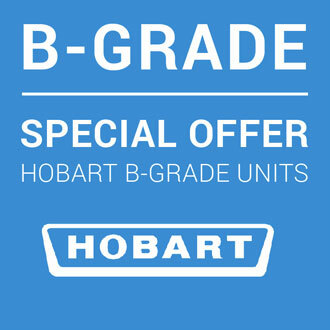 From a single width Hobart Profi UX washer all the way through to the twin width Hobart Premax UP washer with a very large chamber and mulitple features that handle a high throughput but importantly, do it in the most efficient way possible. 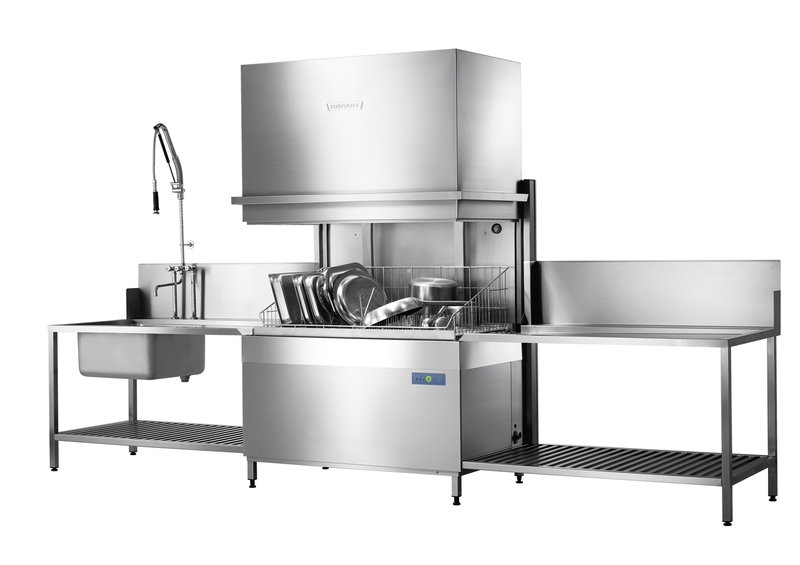 With multiple wash arms, top bottom and on the sides, tray holders and the unique Vaporinse system, even the most soiled and stubborn pans will come out sparkling clean. Rest assured, we will be able to supply the most suitable utensil washer for your site. To do so we will carry out a full site survey, assess your current operation and requirements and then put forward the most appropriate model for you. We can undertake full installation and commissioning of the washer. We also provide full staff training after the initial set up and offer ongoing training should your team change, and further training be required. Product training is all part of the service, there is no charge helping future proof your equipment and make sure you get the maximum performance from it. We’ll also be able to carry out a costing exercise to demonstrate just how much money can be saved by installing a utensil washer compared to washing by hand. And remember, we have a range of finance options available. From 12, 18 and 24 months interest free credit. 3-5 year finance terms and a long term rental option if you would prefer. Hobart utensil washers of two ranges, the Profi and Premax Line. The Profi is perfect for all sites looking to streamline their pot wash processes with a warewasher to suit every site. The Premax is the ideal solution for sites that must have the very highest throughput whilst offering the very best in efficiency. The PROFI-line. Everything a professional operator needs. This leading product series can be found working wherever the highest throughput and standards of cleanliness are required. It combines an efficient rinsing technique with ultimate user-friendliness and low operating costs. 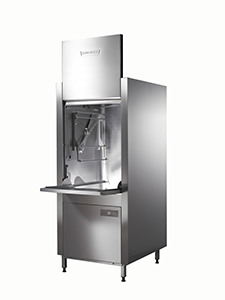 Numerous equipment options make PROFI-line a perfectly suited warewashing solution to suit any operation with a requirement to wash a volume of larger utensils. A special detergent direct spraying system and the patented steam washing system reducing manual pre-treatment significantly. Lateral washing systems triple the units capacity per wash cycle compared to a normal utensil washer. Drain and exhaust heat recovery system saves up to 6,354 kWh per year. This is equivalent to the annual consumption of three 2-person households. The wash action of utensil washers is considerably higher than that of other dishwashers. POWER wash creates the required high wash pressure by wash arms with special Impulse spray nozzles and wash pumps with a 200 % higher performance. This combination guarantees a hygienic wash result, even with heavily encrusted utensils. Our cross joint 4-spoke wash arms are unique on the market and provide an extremely high wash performance. Water contact with the wash ware is twice as long. The washing action increases by 100 % compared to traditional wash arms. Longer contact times and better wash action provide an excellent cleaning result over the entire surface. Exhaust heat recovery, available as an option for front-door type models, uses the energy from the 60 °C hot waste steam to heat fresh water. Humidity and energy do not escape uncontrollably into the room, but are returned efficiently to the dishwasher through a heat exchanger. Drain Heat Recovery. The energy of the 65 °C hot waste water is used to heat fresh water. The drain heat recovery system, available as an option, leads the hot waste water along the fresh water flowing in.Thus heating up the fresh water to 45 °C before it reaches its final rinse temperature in the boiler. Exhaust Energy Storage. 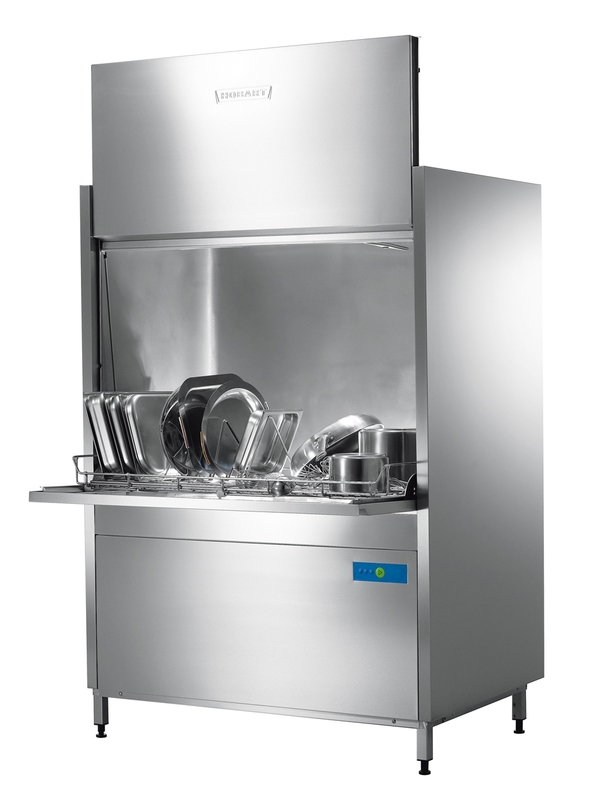 Hood-type dishwashers save energy as they have exhaust energy storage as a standard feature. The hood, closed on all sides, dramatically reduces energy consumption. The 60 °C hot waste steam does not escape into the room, but instead remains under the hood. This is intelligent energy saving without additional investment.